The Soviet Union was a notoriously closed society until Stalin's death in 1953. Then, in the mid-1950s, a torrent of Western novels, films, and paintings invaded Soviet streets and homes, acquiring heightened emotional significance. To See Paris and Die is a history of this momentous opening to the West. At the heart of this history is a process of translation, in which Western figures took on Soviet roles: Pablo Picasso as a political rabble-rouser; Rockwell Kent as a quintessential American painter; Erich Maria Remarque and Ernest Hemingway as teachers of love and courage under fire; J. D. Salinger and Giuseppe De Santis as saviors from Soviet clichés. Imported novels challenged fundamental tenets of Soviet ethics, while modernist paintings tested deep-seated notions of culture. Western films were eroticized even before viewers took their seats. The drama of cultural exchange and translation encompassed discovery as well as loss. 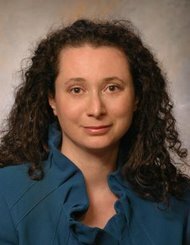 Eleonory Gilburd explores the pleasure, longing, humiliation, and anger that Soviet citizens felt as they found themselves in the midst of this cross-cultural encounter. The main protagonists of To See Paris and Die are small-town teachers daydreaming of faraway places, college students vicariously discovering a wider world, and factory engineers striving for self-improvement. They invested Western imports with political and personal significance, transforming foreign texts into intimate belongings. With the end of the Soviet Union, the Soviet West disappeared from the cultural map. 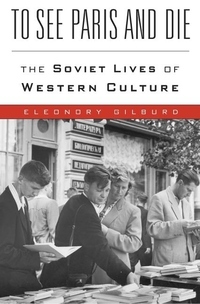 Gilburd's history reveals how domesticated Western imports defined the last three decades of the Soviet Union, as well as its death and afterlife.